If an examination is scheduled by the Service at the taxpayer's place of business and the taxpayer represents to the Service in writing that conducting the examination at the place of business would essentially require the business to close or would unduly disrupt business operations, the Service, upon verification. will change the place of examination to a Service office the area where the taxpayer's books. records, and source documents are maintained. Treas. Reg. § 301.7605-1 (d). Revenue Agent will wish to intelView the taxpayer. Eggshell Audits and Reverse Eggshell Audits. What is an eggshell audit. An eggshell audit is a civil tax audit in which the taxpayer has filed a false tax return. If the falsity comes to light then there is possibility that the IRS can refer the case for criminal investigation, and ultimately criminal prosecution. Because of the sensitivity of the issues and the potenti~1 for disastrous results, anyone involved in the audit must walk on eggshells. Hence the term "eggshell audit." What is a "reverse eggshell audit." This is a tax audit in which IRS agent is collecting information for what purports to be a civil tax audit with the intent of providing that information to the IRS' criminal investigation division for criminal tax prosecution. It is the taxpayer who is unaware of the parallel or simultaneous criminal investigation. Civil Tax Fraud Penalty. IRC Section 6663. The civil tax fraud penalty is 75% of the underpayment which is due to tax fraud. The IRS has the burden of proving civil tax fraud by clear and convincing evidence. If the IRS proves that ANY portion of the underpayment is due to tax fraud then the entire amount of the underpayment is treated as being due to tax fraud, unless the taxpayer can prove by the preponderance of the evidence that some portion is not due to tax fraud. Criminal Tax Fraud or Tax Evasion. IRC Section 7201. The penalty for tax evasion is a maximum fine of $100,000, and five years in jail. False Return Charges IRC Section 7206(1). The penalty for filing a false income tax return is a maximum fine of $100,000, and three years in jail. 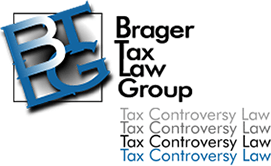 A taxpayer can be convicted of filing a false tax return even though there is no tax owed. Potential consequences of a felony tax conviction in addition to jail and monetary fines. Loss of right to possess firearms. Loss of federal government contracts.